If you’re thinking Caribbean this year, don’t want to book a cruise, can’t afford a yacht, and don’t know where to begin, think St-Martin/Sint Maarten. This 33-square-mile island is split in half into a Dutch (aka the jammin’ side) and French (the traditional European) side. It’s not exactly a secret (cruises do come, and it’s quite the condo scene), but it’s lined with great beaches, cheap to reach (Jet Blue’s direct flights from New York run about $350 return in peak season) and is a perfect hub to being a DIY island-hopping trip to nearby islands like Anguilla, St-Barts or Saba. Good news: the bulk of day trip visitors coming by cruise cling to the souvenir/eating strips of Philipsburg and Marigot – leaving much of the island’s highlights to overnighter guests and locals. For starters, beaches. Friar’s Bay, just north of Marigot on the French side, is a popular local swimming spot with beach bars and full-moon parties. Quieter is nearby Happy Bay, a powdery bare stretch of beach reached by a dirt path that twists over a bumpy headland. The goofiest beach experience – and a perfect dot to the exclamation point if you arrive for your departing flight early – is set just below the Juliana airport runway at Maho on the Dutch side. Revelers laze and drink, then rush to the sand to pose whenever arriving jets zoom by just beyond reach to pose for photos that look seriously faked. The jet-beach hub is the festive Sunset Beach Bar – a $6 taxi ride to/from the airport terminal. Don’t leave the island without splurging on a meal at Grand Case on the French side, the self-dubbed ‘gourmet capital of the Caribbean.’ Its beachfront road is linked with open-air restaurants that emulate a Parisian experience, but with a sea breeze. If that’s too fussy, there are lolos, Creole barbecue shacks clustered by a seaside picnic area. Because the island’s so small, you can set yourself up anywhere. Taxi costs will add up, but local car-rental agencies offer cars for about US$35 a day. Lonely Planet author Brandon Presser’s favorite spot, calling it easily one of the best deals in all the Caribbean, is Les Balcons d’Oyster Pond, a collection of hillside villas with bay views at Oyster Pond. Prices start at 100 euro in high season – dropping by up to 35% after April 15. Simpson Bay on the Dutch side has many good-value accommodations, perfect if you can handle the sounds of nearby Juliana airport – many guests swear they don’t notice. One popular option is the Horny Toad Guesthouse. No place in the Caribbean is a more convenient hub for multi-island trips. An easy day trip worth the effort is a 25-minute ferry ride to Anguilla, a gorgeous spot with clapboard shack homes and star-studded beach villas that rivals St-Bart’s glitz. Ferries from Marigot, St Martin run about $15 and leave every 45 minutes during daylight hours and arrive at Blowing Point on Anguilla, where you can find car-rental companies (about $50 a day). Get one, grab lunch at the Valley – an inland farming community with a good dining scene and the island’s best-value accommodation: Lloyd’s, a B&B with rooms for $135. Then hit the quintessential Caribbean beach at Shoal Bay East (two miles of perfect white sand, glassy turquoise water, reefs for snorkeling, and beach shack restaurants with hammocks). Puddle-jumper flights from St-Martin open up many other options from $100 return. A good option, that would give you a different island experience, is Saba, a mountain of an island, literally. Famed for hikes on its jagged landscape – and neon coral and reef sharks seen on dives way below – is reached for $130 return on Winair. 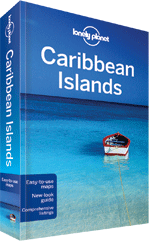 For more fun in the sun, grab a copy of Lonely Planet's new Caribbean Islands guidebook.